Timewarp is excited to present an inspired and exhilarating album from Somnesia entitled 'Cosmic Resonance'. Experience the freshest chapter in the continuing quest to keep the eternal cosmic flame that is the spirit of the true Goa Trance essence alive. This will be his epic 4th full length album and no doubt is his best work to date. From the first note this music instantly transports you across the universe. 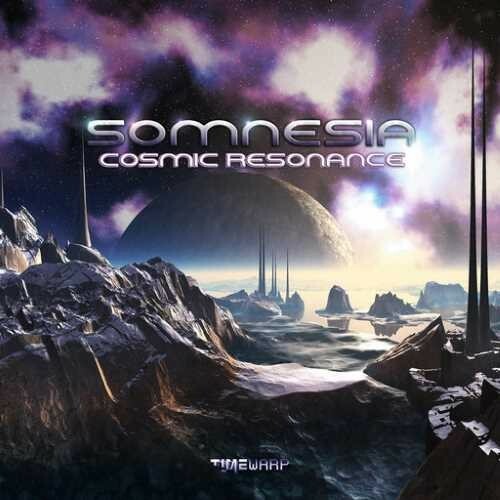 Somnesia (Christophe Grossel) is a Melodic Goa Trance producer and DJ from France. He was born in 1980 and discovered this sound in 1996, on a radio station. His solo project was started in 2009, in his Aum Studio. He has a passion for oriental melodies and galactic atmospheres with old school Goa Trance influences. The name Somnesia comes from the latin somnium which means dream.